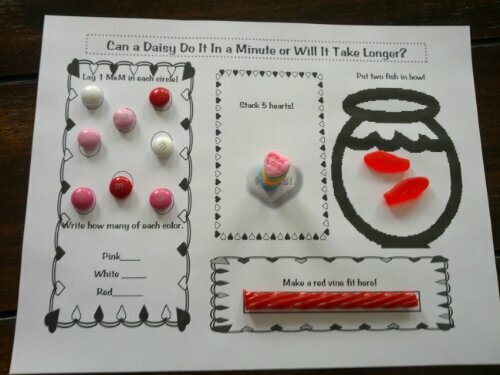 I created this printable to be used at my Daughter’s Daisy meeting for a fun ice breaker game and to celebrate Valentine’s Day. 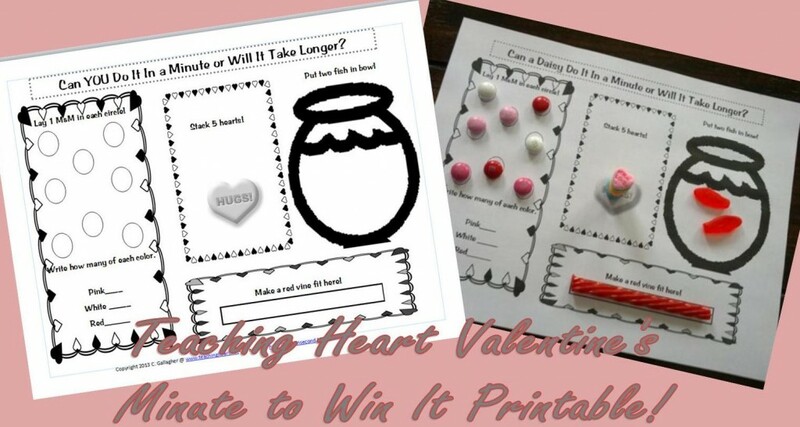 It would also be great for a classroom or home Valentine’s Day Party! The idea came from this pin. I modified the idea to meet my needs and the candy I could find in the store. All you need is my printable (Click to Download Minute to Win It Sheet! ), 8 V-day M&M’s, 5 Candy Heart, 1 Red Vine, and 2 Swedish Fish. 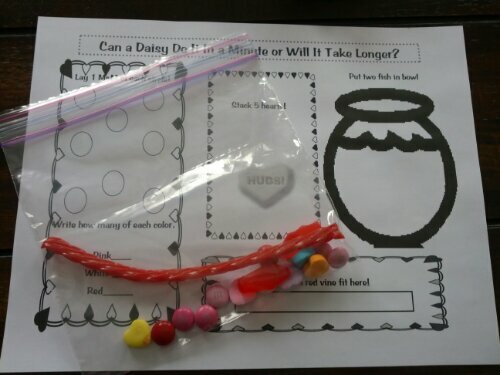 I put all the candy each player would need for the game in a baggie with the idea that part of the game would be taking it all out and laying it on the sheet as seen below. Can they finish the sheet so it looks like the one below in a minute? Or does it take longer than a minute? Who finishes first? For More Valentine’s Day Ideas – Click Here! 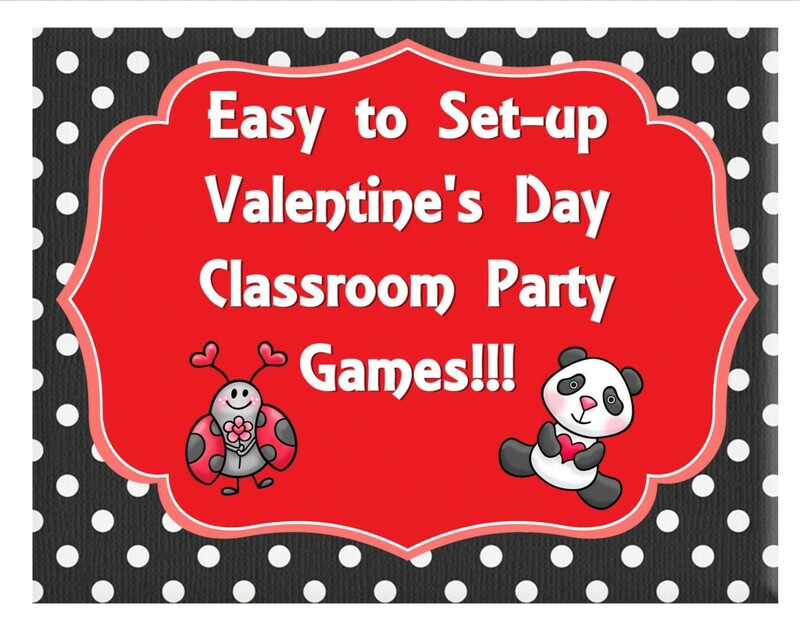 Check – out all the classroom V-day Games found in this set!!! You can get it here on E-junkie !